We know it was a very busy week for most of you so a HUGE THANK YOU to everyone for joining in last week! :-) We KNOW how much you love ANYTHING GOES challenges!!! It can be for any occasion that is NEW - new baby, new house, new car, new year, USE something NEW.....the options are endless!!! SO, lets see what you come up with this week! The Design Team is showcasing Cuttlebug products this week. Its not mandatory to join in but if you have them, why not pull them out & use them?!?! We would like to extend a very warm welcome to Debbie who is joining us on the DT for the month of January! Please go visit her blog & check it out, she is incredible!!! LOVE her style!!!! 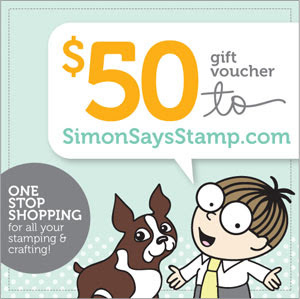 Using Cuttlebug Embossing Folder "Argyle"
For fabulous tutorials, inspiration and candy you should keep an eye on the Simon Says Stamp Blog too. 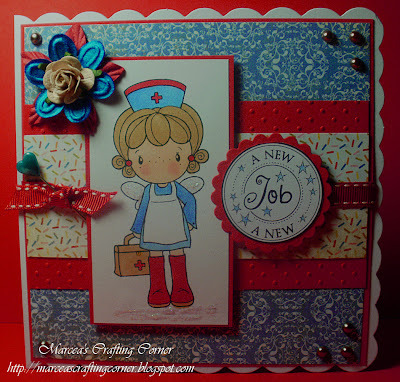 It's a good idea to keep a check on the All New Just In Pages , there is invariably some new goodies listed and it is a handy way to keep up to date with all things new and crafty !! Gorgeous cards this week again! Thanks for the new challenge! Love the challenge this week! Thank you for another fab challenge and Gorgeous inspiration!! 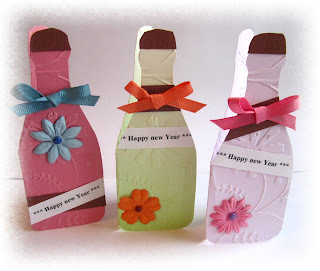 Happy New Year to you all!! Spectacular cards and projects, ladies. Thanks for the super inspiration each week. I'm so sorry I didn't update my linky blog address which takes you to an old page so I've entered again. 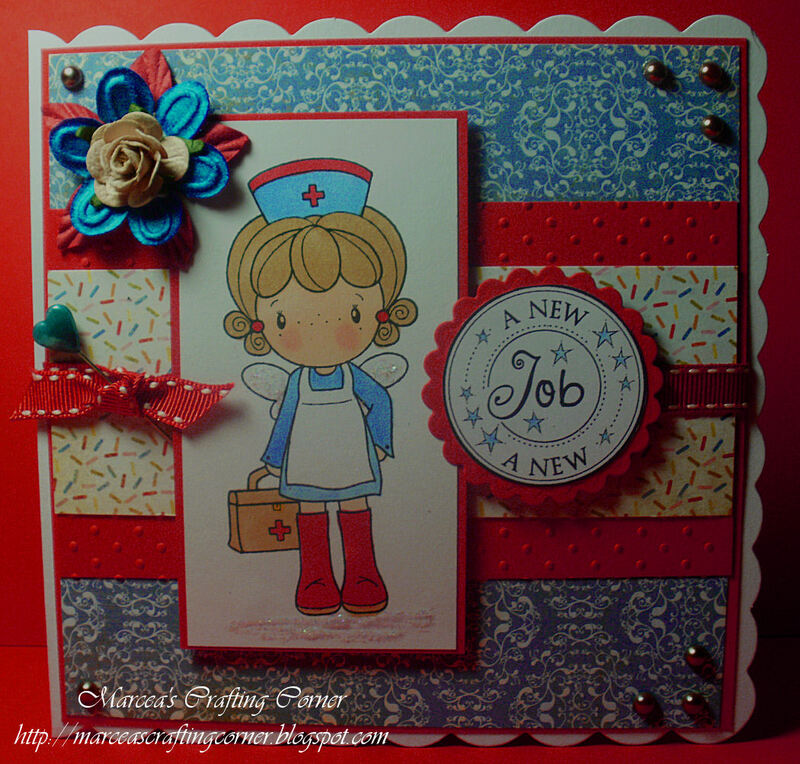 I used some new Papermania Fairy tale paers and embellies for my card. Pretty DT makes, and a fun challenge! Gorgeous DT cards, thanks for a fab challenge! 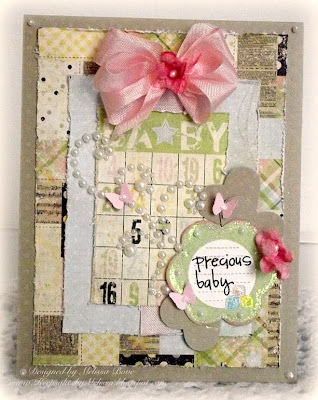 thanks for the great inspiration with the Cuttlebug folders, i'm always looking for new ways to use mine! Just wanted to say 'Wonderful creations' from the DT. Thanks for sharing and making the challenge available to all of us. Lovely cards as always ladies! Thanks for another wonderful challenge. Wow ladies, looks like you all got some very fun new items. Thanks for the great challenge. WOW What Awesome DT creations here! Thanks for the fun challenge! HAPPY NEW YEAR!! very nice cards from everyone! Didn't mean to post twice.. this is fun! Great challenge! I'll try to make more "new" cards with my Christmas goodies!! Wonderful DT work! Thanks for new challenge. Making my second post and comment for this challenge. Thanks again for the gorgeous inspiration, ladies. I made a card for a little one in mind... Thanks for the challenge! SUPERB inspiration! HEY, i am LOVING the new prize blinkie design! Very NICE! The DT samples are fantastic! Very inspiring! The DT girls made some wonderful cand. Thanks you so much for having this great challenge. I only got a couple things for Christmas - but one thing I got was some new clear rubber stamps - which I proudly used on my card! Love the DTs cards and the theme of this challenge. What a fun challenge! My first SSS challenge! Thanks for the fun challenge...love the DT projects! Gorgeous cards ladies, great challenge thanks! I like this challenge too! Just linked mine up. Thanks for the inspiration DT! What a great challenge for the start of the year...Wonderful DT cards, really stunning. Thanks for the challenge. Great DT projects. Super inspirational DT projects!! !Thanks for sharing & also thanks for the challenge!!! Simply gorgeous each and every one!!! Thank you for offering such a fun challenge..i'd been wanting to share my "creation" with you all! Lovely DT inspiration! Thanks for the chance to play! Thanks for all the inspirational designs and creations!!! Gorgeous samples from the DT! Thanks for the fun challenge! Fun...I got to use some new stamps and some Purple Pumpkin goodies...thanks!!! Great Dt inspiration as always - Fantastic ! Wishing you all a very Successful New Year! Great Challenge topic,good luck to everyone. I enjoy looking at all the projects. Lots of good ideas and inspiration. Wonderful DT creations, as always! Thanks for the inspiration! Since this card uses some new elements for me I thought I'd join in for the luch of the draw. I'm impressed with how many entries you get. My 'something new' is the colored pearls. I had never used them before but I found packs of several different colors on clearance and now I love using them as accents. Just discovered this site, fabulous DT projects. Thanks for all the fun challenges.. The cards here always look so fun! Thanks for the great ideas! Simon Says ,,,,,, Use Domi's Sketch !